I think this might be the first collaboration I’ve ever done for my own website! I’m super excited to introduce you to Candiware. She’s a cute vegan from Canada who makes adorable food charm jewelry. 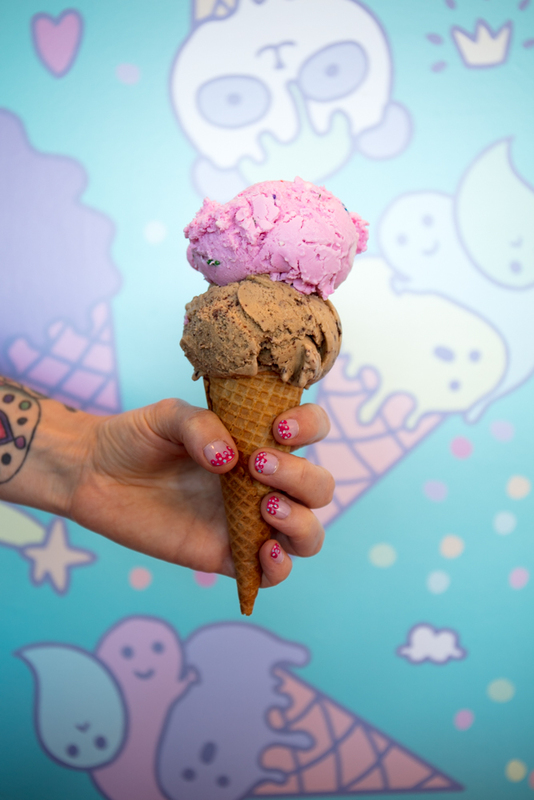 For this collaboration, I made a Rilakkuma-esque vegan teddy bear ice cream cone, and she made the jewelry version! Cocobella is probably my favorite ice cream parlor in life. It’s so kawaii, has super friendly employees, serves yummy vegan ice cream, and has the most adorbs kawaii wallpaper. It was this very wallpaper that inspired me to want to make this vegan Rilakkuma teddy bear ice cream cone. And here’s the video I made. 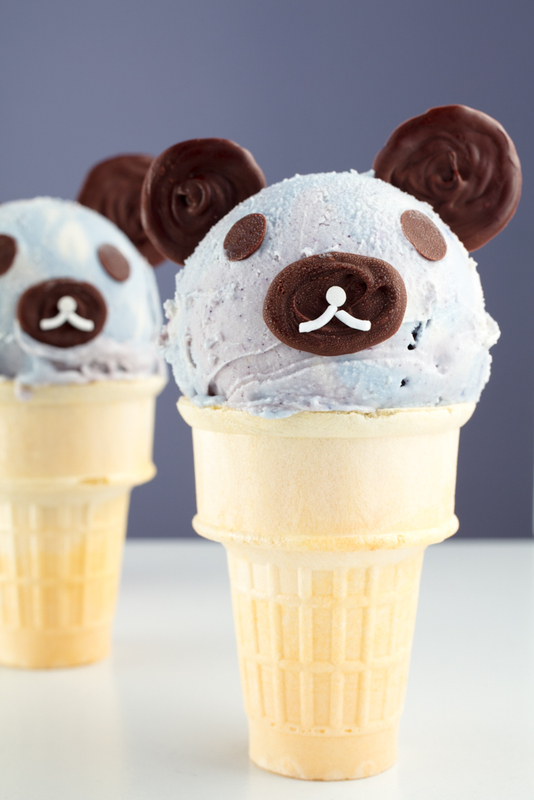 Here’s the recipe for this vegan Rilakkuma teddy bear ice cream cone.